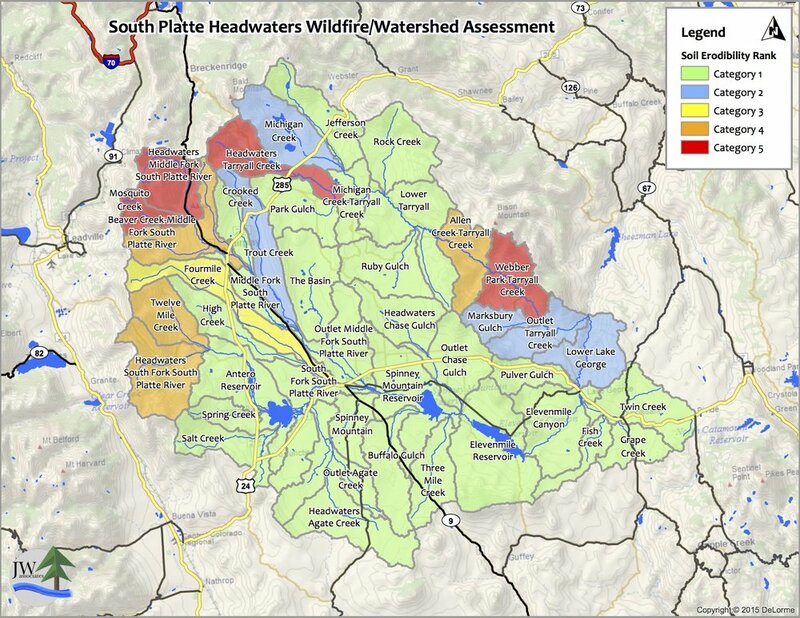 We have completed a wildfire/watershed assessment and prioritization for the South Platte Headwaters Watershed. 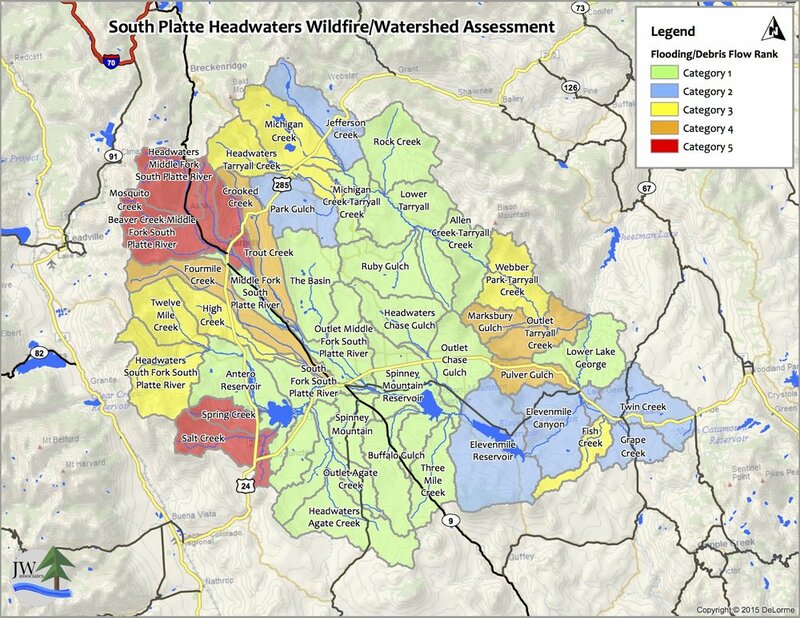 The assessment followed a procedure prescribed by the Colorado Watershed Protection Data Refinement Work Group titled “Protecting Critical Watersheds in Colorado from Wildfire: A Technical Approach to Watershed Assessment and Prioritization”. 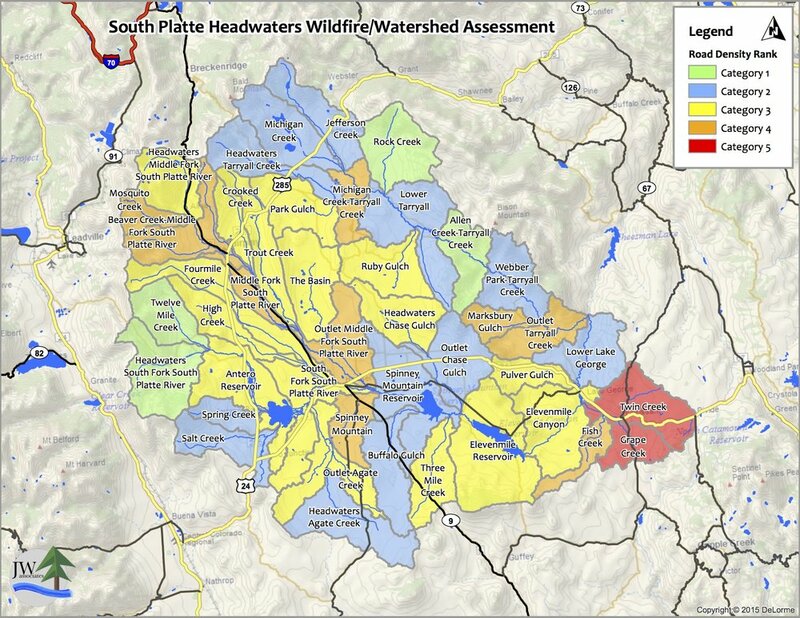 See the Watershed Wildfire Protection Group for more information. 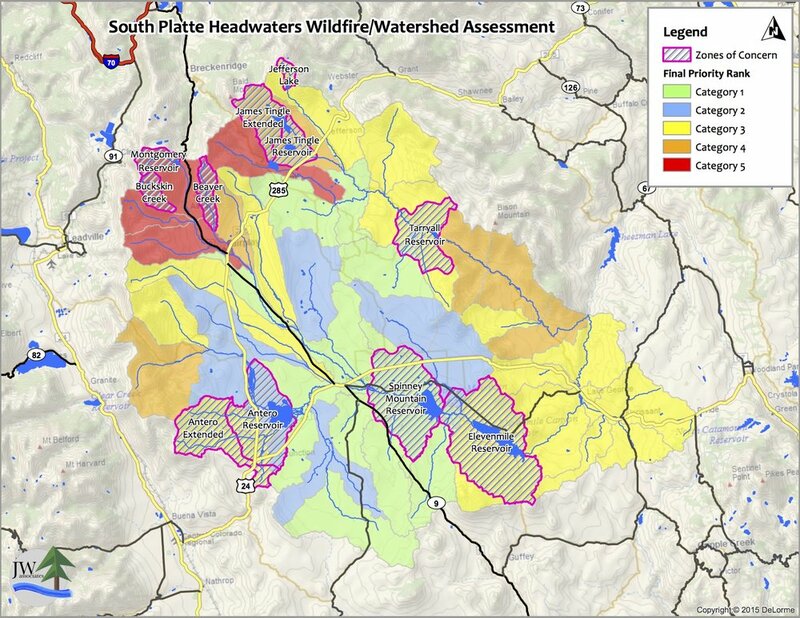 The South Platte Headwaters Watershed Assessment identified, prioritized, and recommends measures to protect those watersheds that provide or convey critical community water supplies from the adverse effects of post-wildfire hydrologic changes, including flooding, erosion, and deposition. The report and related documents can be found below in the Documents section. 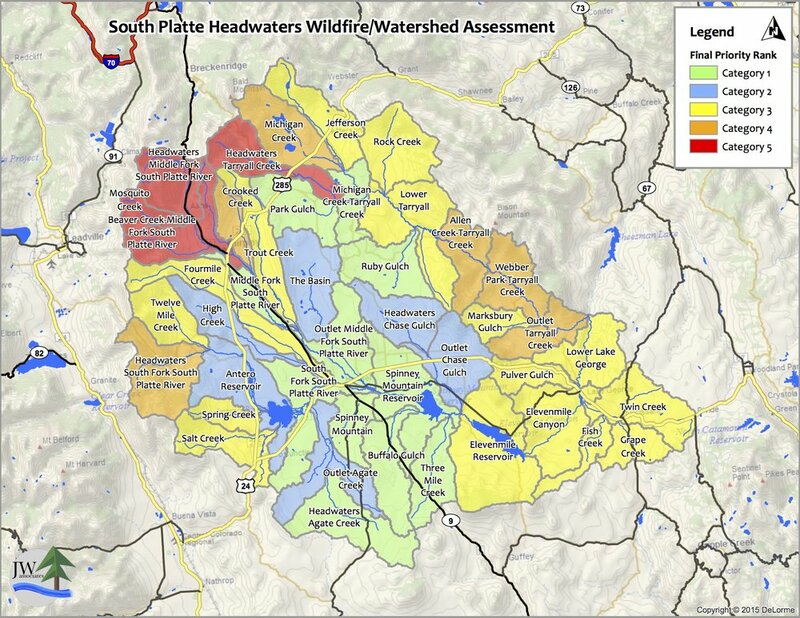 A slide show of the maps from the report can be viewed below in the Maps section. 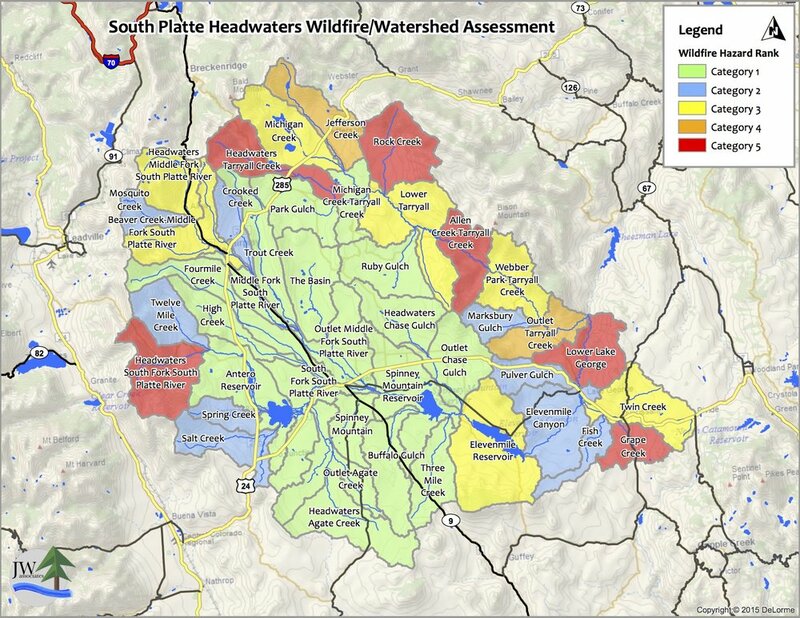 The maps in the slide show below are from the South Platte Headwaters Wildfire/Watershed Assessment. Click on the slide show to view the priority maps. The legend text identifies the ranking item. Descriptions of the maps and how they were created are contained in the report located in the Documents section.